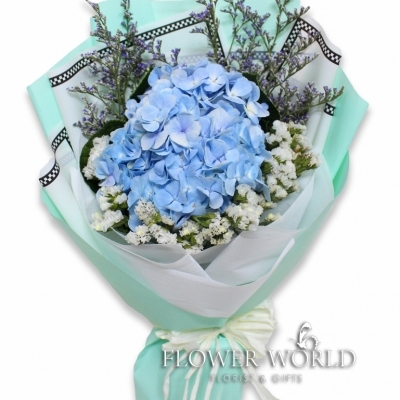 One pink hydrangea in turquoise elegant wrapping. 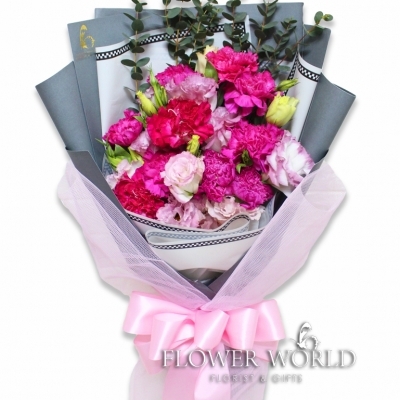 One pink hydrangea and six pink carnations with additions eustoma fillers in sweet pink premium wrapping. 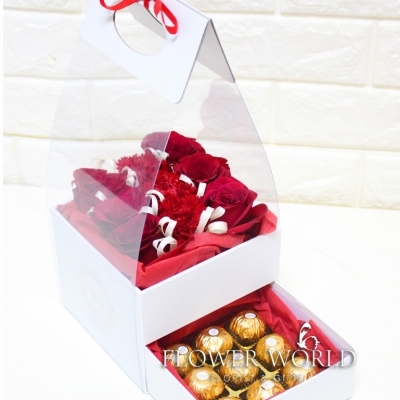 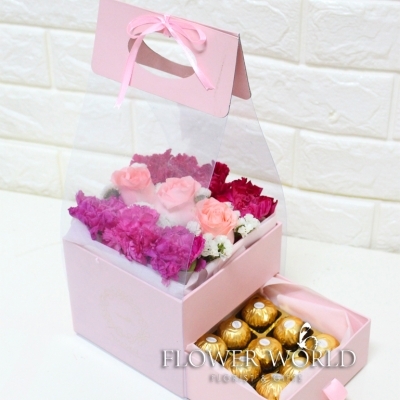 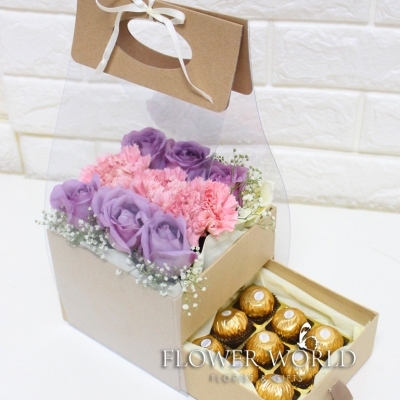 Promotional gift box with a mixture of nine roses and carnations with Ferrero Roche chocolates. 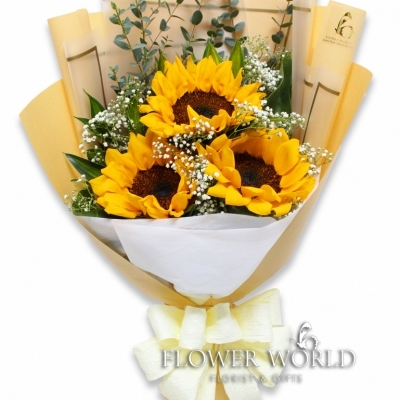 Three sunflowers in premium yellow wrapping with baby's breath. 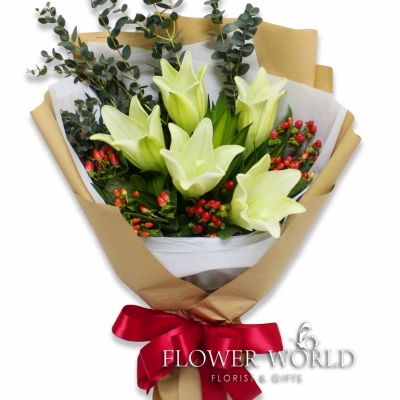 Five madonna lilies in brown wrapping with berry fillers. 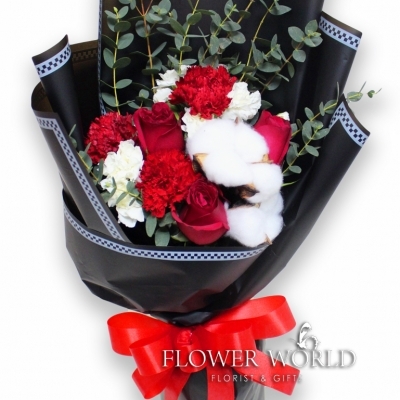 Red roses and carnations with additional two cotton flowers. 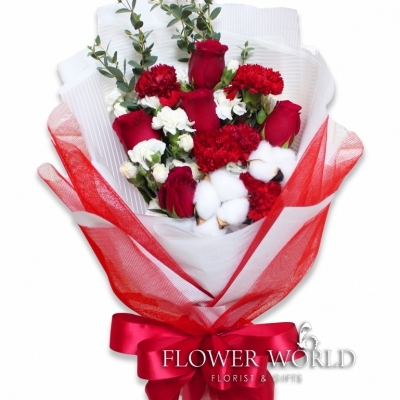 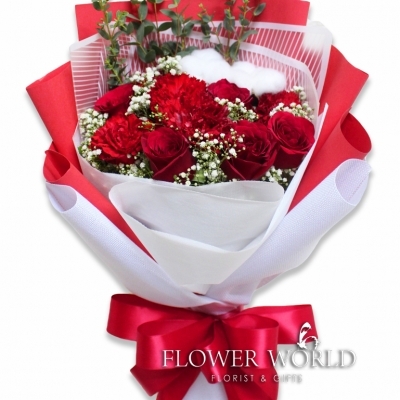 Five red roses and five red carnations with additional two cotton flowers. 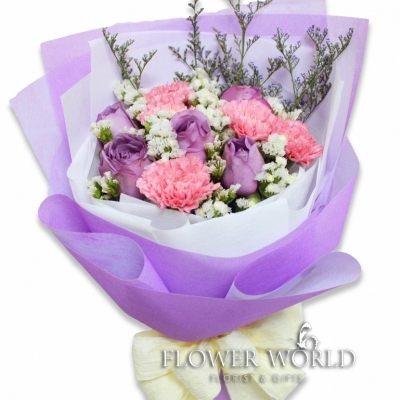 Sweet purple premium wrapping of five purple roses and five pink carnations.